All Hawley homes currently listed for sale in Hawley as of 04/18/2019 are shown below. You can change the search criteria at any time by pressing the 'Change Search' button below. If you have any questions or you would like more information about any Hawley homes for sale or other Hawley real estate, please contact us and one of our knowledgeable Hawley REALTORS® would be pleased to assist you. 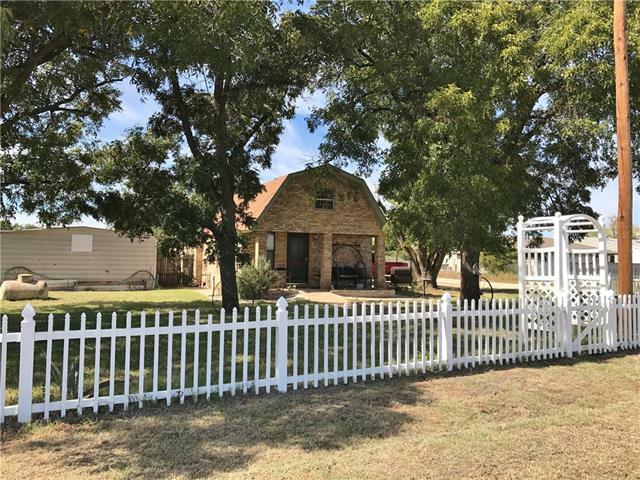 "Check out this 15 acres with a 3 bedroom, 2 bath home featuring hard wood floors, tile, and laminate wood. Split bedroom layout with an office or formal dining, fireplace in living room & cathedral ceilings. Granite in kitchen and bath, with slate walk-in shower in master. Insulated 30x30 workshop wired 110 & 220, RV & boat parking, water well, fenced backyard with covered patio,cabin. In addition, there is a 1 bedroom, 1 bath cabin, great for guests or mother-in-law!" "Country living close to town! Bring your horses, cows, chickens or just a desire for wide open spaces! 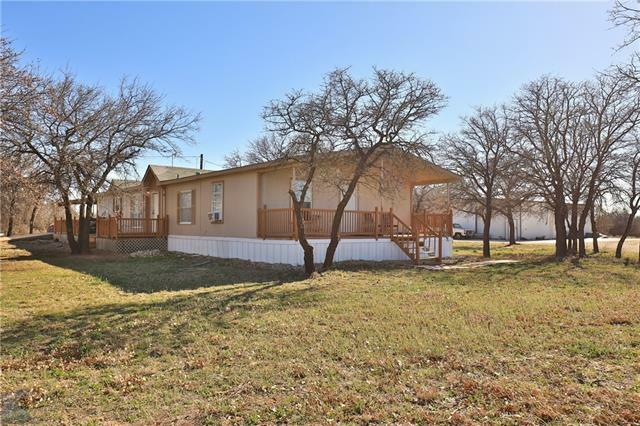 14 acres & a custom built one-owner home located between Abilene & Hawley. Satillo tile flooring, Plantation Shutters & Crown molding throughout. Large living room, approx. 26x18 with a great wood burning fireplace. Barn-Workshop with electricity & water spigot. Water well on property which Owner says has great water but needs a new pump. Property is offered at the listed price with 14 fenced a"
"Country living close to town! 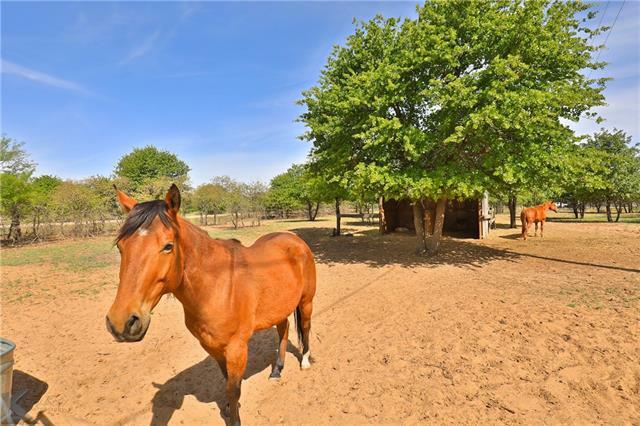 Bring your horses, cows, chickens or just a desire for wide open spaces! 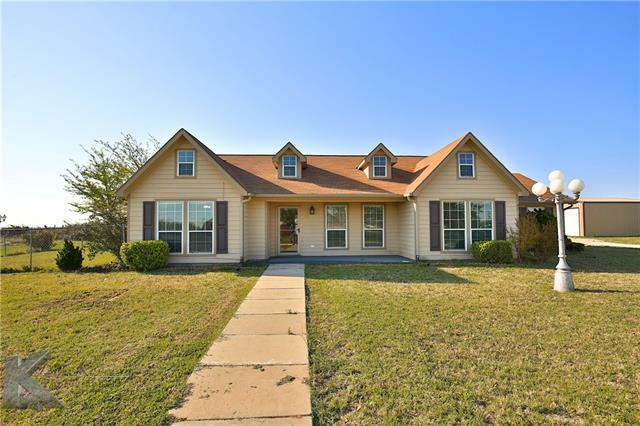 5 acres & a custom built one-owner home located between Abilene & Hawley. Satillo tile flooring, Plantation Shutters & Crown molding throughout. Large living room, approx. 26x18 with a great wood burning fireplace. Barn-Workshop with electricity & water spigot. Water well on property which Owner says has great water but needs a new pump. 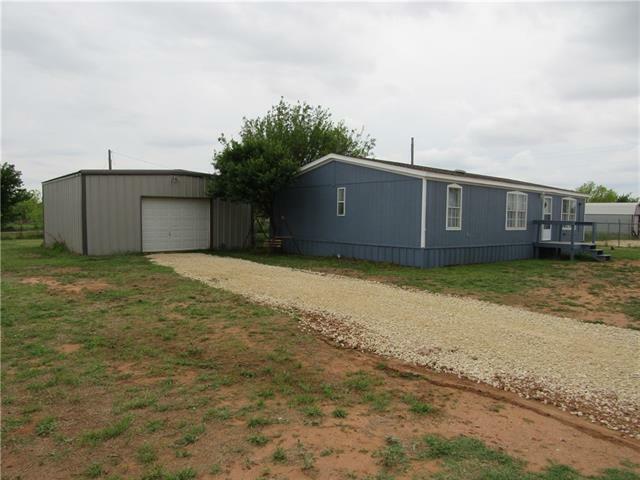 Property is offered at the listed price with 5 acres but "
"Budget friendly mini-ranch! Bring your horses with you and call this place your home! 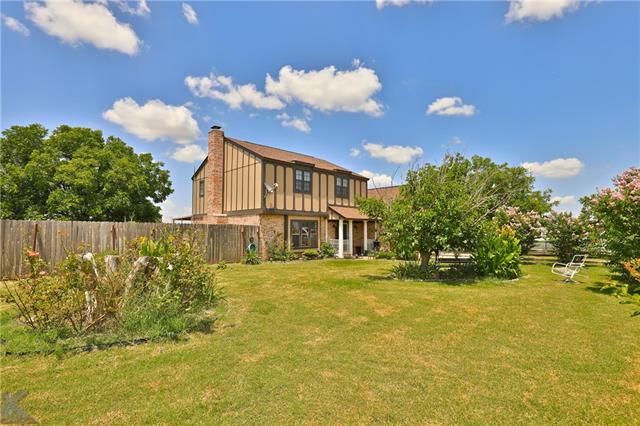 Nearly 6 acres cross fenced with separate back yard, small pasture, and a very large pasture! New fence all the way around, shelter for horses and goats, chicken coop, storage buildings, and a carport! Oh, and it comes with a home too! This well cared for manufactured home still looks great! Split floor plan with 4 bedrooms, 2 full baths, and a big kitchen with lots of counter space! So much room out here to gr"
"This spacious home offers 4 bedrooms (two full split master bedrooms), 3 bathrooms, open living concept with a very nice, bright kitchen on a little over 5 acres. Utility room has room for a refrigerator and a freezer! Many important updates have been done to this property. Electrical has been redone from the pole through the house, plumbing, new furnace, new driveways, 40x60 shop has been plumbed, new toilet installed and has electricity with two 12 ft roll up doors, updated flooring in the kit"
"MOTIVATED SELLERS!! Super cute 2 bedroom 1 bathroom home with central heat and air, frig and stove stay! House has been updated in the past 2 years. Has an attached carport. Property is fenced and cross fenced, has a garden area and dog run. Established dwarf fruit trees and bushes, cherry, grape, peach fruit cocktail trees that produce plums, peaches, nectarines and apricots. Storm shelter, storage building, 4 pens and chicken coop all on 10 acres! The home sets back from the road for privacy. " 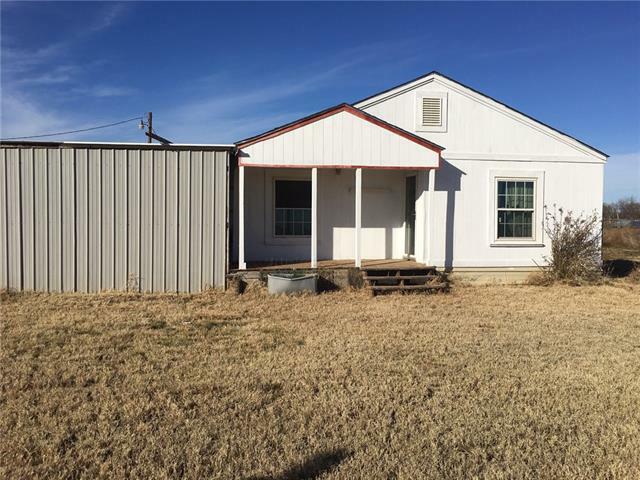 "Very nice 3 bedroom 2 bathroom double wide with new sub-flooring, new flooring, new plumbing, new bathroom fixtures, HVAC been serviced, new paint, new metal under pinning, 24' X 24' shop-garage. .95 of an acre. Water meter, septic system, gas meter in place. Seller will finance with approved credit $15.000 down, 7.5% interest for 15 years. This is a rare find! Don't miss out." "Escape from it all! Nice A-frame with large master bedroom and a loft with 2 separate sleeping spaces could be your weekend retreat or full-time home! There is a large living area with a fireplace, and an attached 2-car carport. Tall pecan trees shade the almost half-acre, and a water well will keep the grass green. Also includes a large storage building and fenced yard. If you've been looking for a convenient place to get away from it all, or just to downsize, this is the place for you!" "Great little starter house, for young or retired a single person or young couple. Just starting out. low maintenance sheet metal exterior. Small town atmosphere. Just 15 minutes from Abilene"